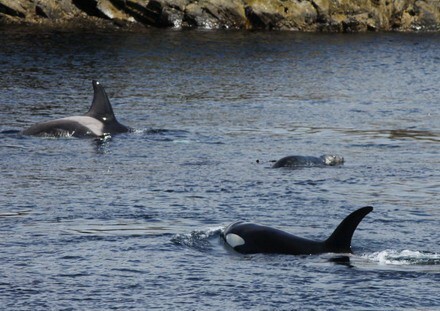 "The one thing guaranteed to empty the observatory is a phone call to say that there are Killer Whales showing and today's sightings coincided nicely with the whole Obs sitting down to lunch..."
The waters around the Shetland Islands, including Fair Isle, are some of the richest in the whole of Europe for sea mammals, with 21 species of cetaceans (whales, dolphins and porpoises) and five species of seals recorded in the region. 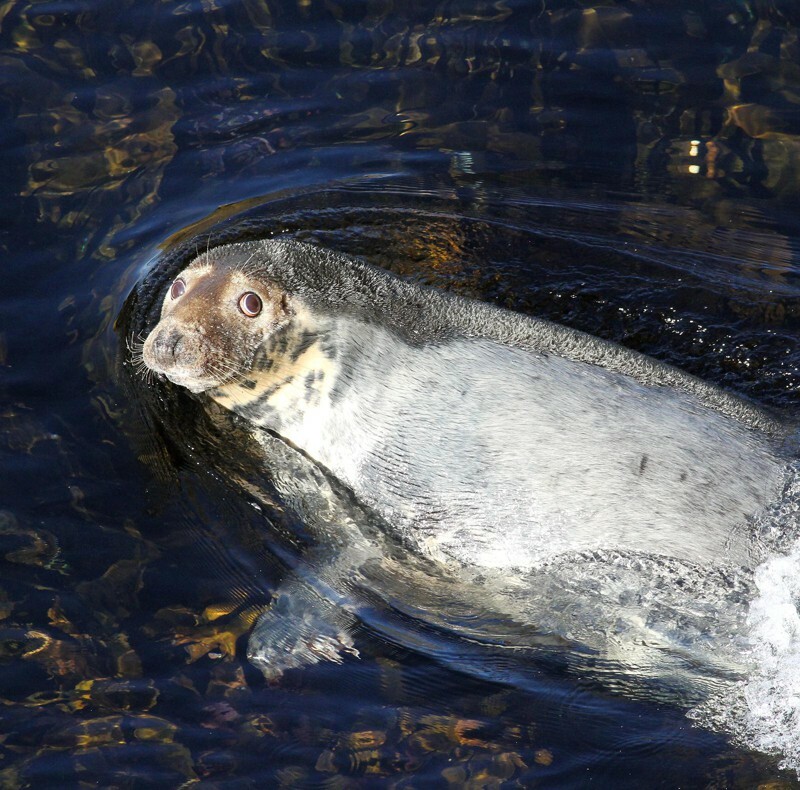 Although some are scarce and irregular, 16 cetacean and two seal species have been seen in the last few years. The majority of cetacean sightings occur between May and October, as sea conditions are more favourable and a number of species move into coastal waters in the summer as food supplies increase. On Fair Isle, the headlands of Buness and Meoness and the cliff tops around North Light represent good seawatching points on calm days, the most common species recorded being Harbour Porpoise, Minke and Killer Whales. 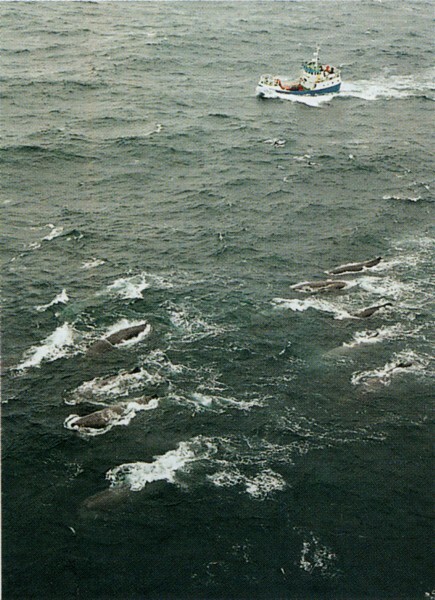 Passing pods of Risso’s, White-beaked and White-sided Dolphins are also possible. 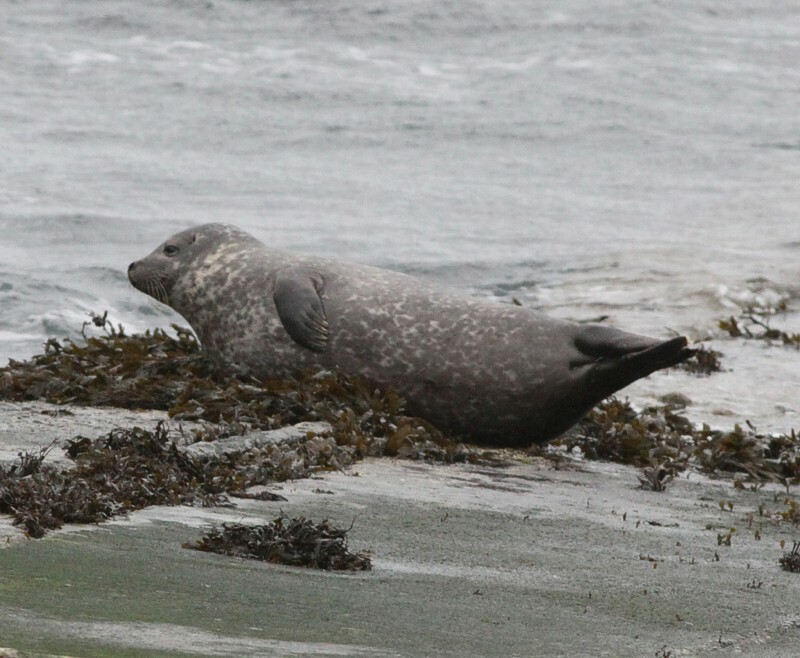 Other species, such as Humpback and Long-finned Pilot Whale, are more regularly recorded from points on South Mainland, such as Sumburgh Head, and the Good Shepherd ferry, though also from Fair Isle itself on a few occasions. Indeed travelling to Fair Isle on the Good Shepherd in the summer provides a good opportunity for whale-watching, as the waters just south of Sumburgh Head are particularly attractive to a number of species. 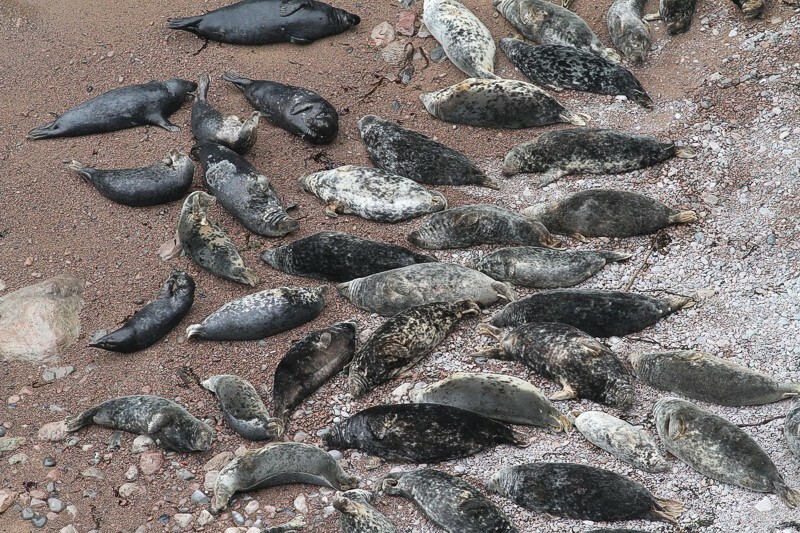 Fair Isle also hosts a small breeding population of Atlantic Grey Seals, which can be easily viewed in North Haven and the area around South Harbour and the South Light, pupping from October on the isolated beaches along the north and west coasts. 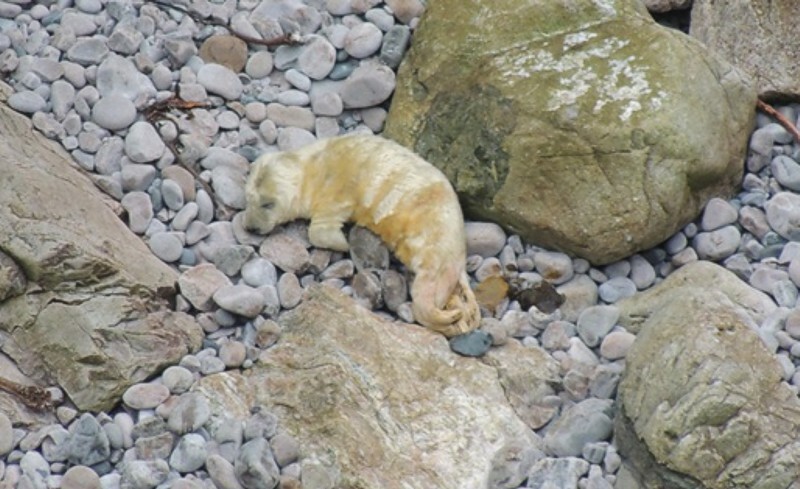 Common Seals may also be seen, normally in South Harbour, but they do not breed on the island.